One of the most versatile accessories to any wardrobe is the scarf. And they’re not just for women either! The designer scarves and shawls from Organic Apparel USA’s Shawlbliss line are designed with a superior quality that is second to none. Designed in Miami, Florida where most of the trendy designs of fashion are created, these stylish scarves are guaranteed to give any woman’s outfit the pop of color or flair needed. Men can also sport the European metro style with a rich, warm or subtle light color draped around the shoulders for a casual, yet superior swag. Whether you are selling men or women’s clothing, the Shawlbliss line of designer scarves and shawls will definitely bring your brick and mortar or online store to another level of sophistication. While these scarves and shawls are designed in Miami, Florida, the actual manufacturing of this product is done in Turkey. What this means for your business is that you can proudly advertise this as a high-end fashion accessory that has the popular fashions of the United States with the craftsmanship that only a European manufacturer can supply. Stocking your store with Shawlbliss European manufactured scarves and shawls is sure to render a good ROI as it will very well be one of your best selling items. Organic Apparel USA has a wide array of colors and designs for you to choose from. Select a bulk supply of Decorative Glitter, Flower, Polka-Dot, or bold Leopard scarves and shawls to appeal to women. You can also go neutral and select a supply of unisex solid or stripped fashion scarves and shawls to appeal to all shoppers. If you don’t see a design that you think will appeal to your shoppers, then you can create your own! With Organic Apparel USA, you can create your own line of high-end fashion scarves and even get your label embroidered into it for an authentic look that can rival any other high-end fashion label. It’s all about how far your imagination can take you! At Organic Apparel USA, we have our own textile manufacturing plant so we have the resources available to design any type of scarf or shawl you can imagine. And it can be done at a wholesale price. What this means for your business is that you’ll not only be able to purchase a high-end fashion accessory at a discount price, you’ll also have the opportunity to custom-design one any way you want. Design your own special brand of fashion scarves and shawls with your company’s name and sell it as an exclusive item that can only be purchased through your store. Use it as a promotional sale item to give away with the purchase of a certain dollar amount at your store. It’s whatever you want! 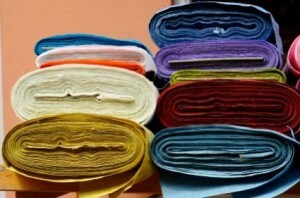 The possibilities are endless when you can design your own fashion product right here in the USA. Something as stylish and versatile as Organic Apparel USA Shawlbliss scarves and shawls is the perfect clothing accessory to brand your own name to. 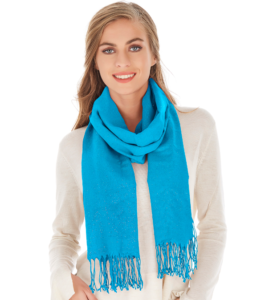 Contact Organic Apparel USA representative to discuss the possibilities of the type of fashion scarves and shawls you want to create at 305-767-4249 or email us today!